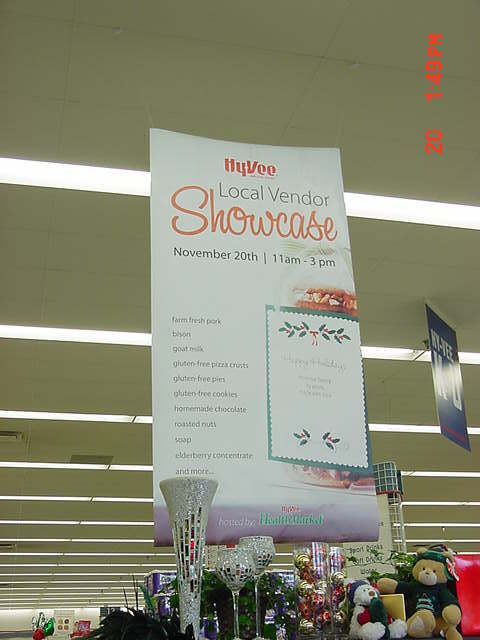 On November 20th., 2010, I was invited to participate in a Local Vendor Showcase at one of the local HyVee super markets in Lawrence, Kansas, where we have goat milk, yogurt and cheese for sale in their health food section. 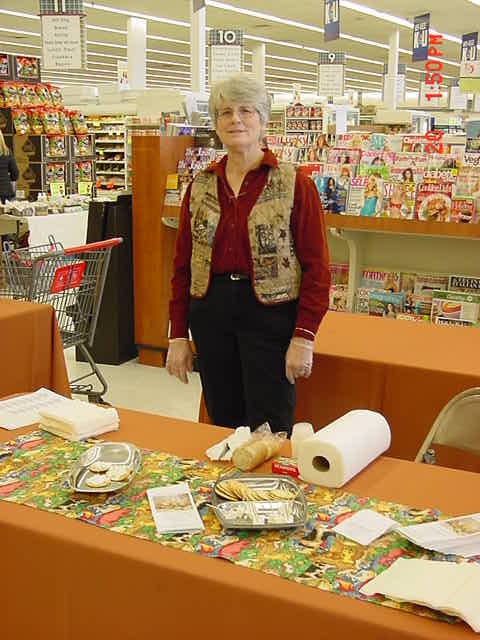 Our display of free cheese samples was one of several displays of locally-produced sustainable agriculture type items that made up this local vendor showcase. It included natural soap, gluten-free foods, buffalo meat, sunflower oil, garlic soy dip, etc. With all the emphasis on food quality and locally grown and produced products today there has never been a better time to be making and selling goat cheese. People worldwide are consuming more high quality homemade soft cheese than ever before. The U.S. imports more than 600 tons of Feta from France alone each year. 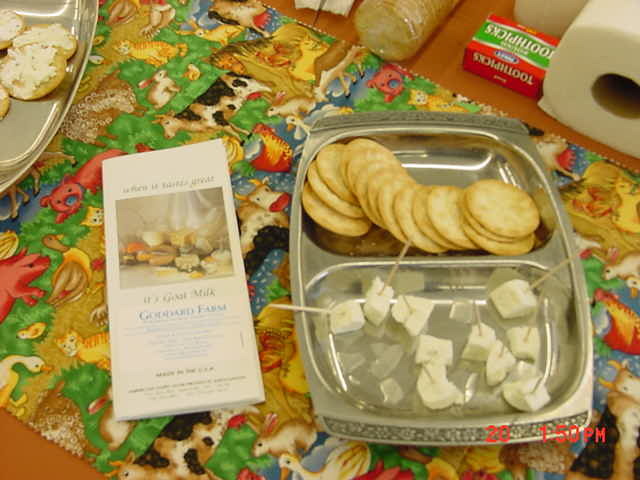 Goat cheese is a fast growing phenomenon in this country, fostered, in part, by favorable publicity in up-scale connoisseur and gourmet magazines. Because of this newly-created demand goat cheese has attracted gourmet interest, natural food stores, and distinguished restaurants. Restaurant interests in the growing demand for Greek and other fancy salads includes Feta and Chevre cheese. We are unique because our mission is to be a micro-dairy where we can control every aspect of our cheese making. We are part of the local community and it is important to us that all of our products are made in smaller batches to maintain the best quality possible. 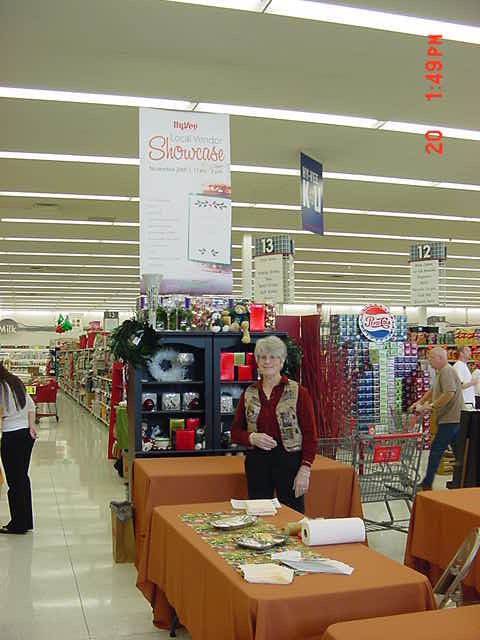 Additionally, restaurants enjoy advertising the source of local food items on their menus which is appealing to those interested in where and how their food is produced. You don't have to milk hundreds of does to make the dairy goat business profitable. You don't even need to milk fifty or a hundred does to pay your feed bill. 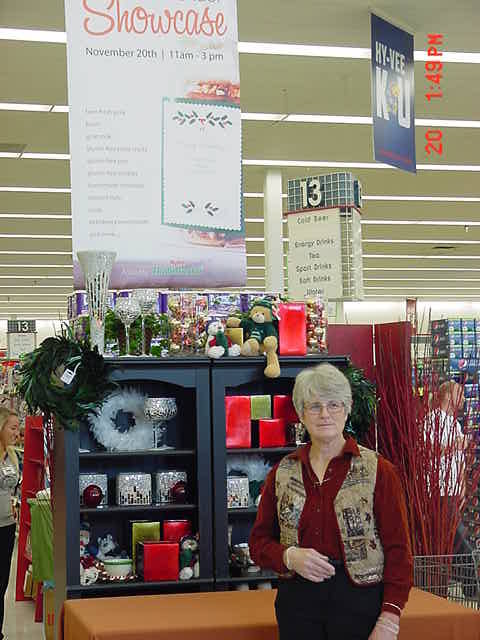 Two dozen healthy, well-managed, productive does will pay their way and keep you busy. With the small micro-dairy equipment available from Microdairy Designs in Maryland, you don't even have to work at it full time. They have developed 5 & 8-gallon legal pasteurizers that permit the entrepreneur to produce and sell Grade A approved goat milk, cheese and related products. The goat cheese business is profitable and exciting and I encourage anyone who has the desire to do so to get into the goat cheese business. where more than 1450 cheese makers world-wide share recipes and cheese making ideas.